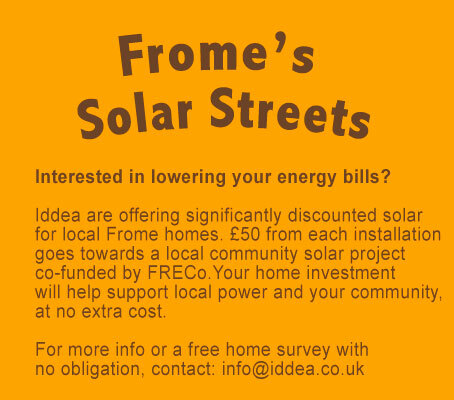 Recent projects have included Frome Open Homes which had over 600 visits. Over 50 homes and local mill projects have taken part so far and opened their doors to showcase ways to cut carbon and costs. To see which homes took part in 2015 click here. Here’s to going ‘renewable so our streets are less canoeable’! 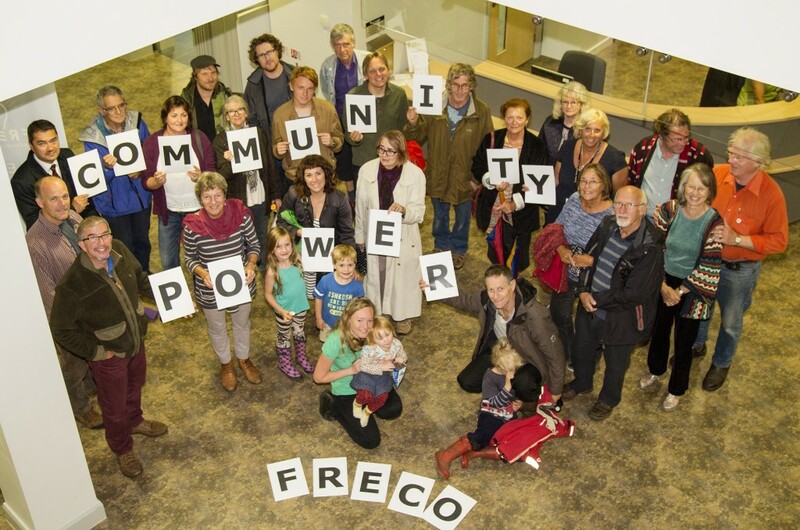 FRECo is an energy co-op that enables the community to invest in renewable energy projects in Frome. This provides environmental benefits by reducing carbon emissions; financial benefits for investors, reduced energy costs and a stream of income to community projects focusing on energy efficiency. FRECo was founded in 2014 through Sustainable Frome. Now that the cost of solar panels and installation have reduced we’re very keen to get more solar on roofs. If you know anyone or have spotted any large south facing roofs do get in touch – our new leaflet is here with additional info here. © 2019 Freco, all rights reserved.